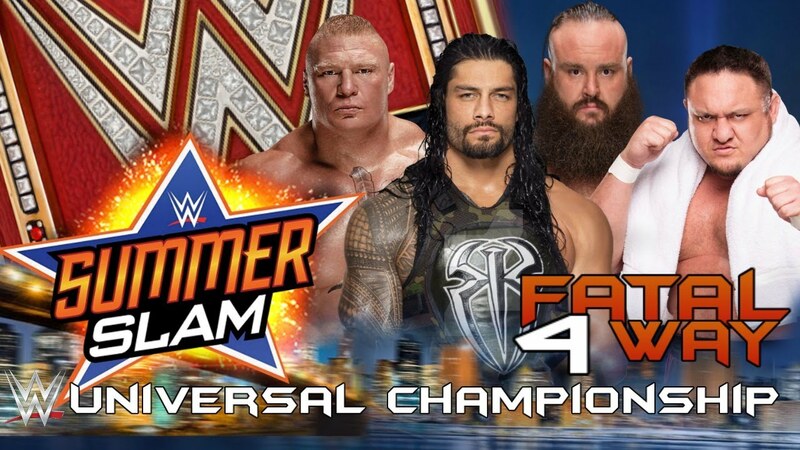 But one thing which you didn't probably didn't get from this match is that now Lesnar vs Reigns at Wrestlemania is real possibility and I become sad even thinking about it. Reigns is not a great storyteller and entertainer by any chance. Yes Samoa didn't get to do his classic roundhouse kick thing in the corner to anybody. Felt that finishing was a little rushed and sudden but at least no one came out looking weak in this match. Even though Samoa didn't do a lot but what ever chance he got he availed it. WWE just told a great story and had four great performers destroy each other. The match worked at so many levels especially the stipulation that Lesnar will leave if he loses the match. Strowman look like something we've never seen before with the way he handled Brock. Kudos to WWE for that. I am pleased that the main event that looked so good on paper really came through and delivered on the night. (08-22-2017, 10:57 PM) msalman Wrote: WWE just told a great story and had four great performers destroy each other. The match worked at so many levels especially the stipulation that Lesnar will leave if he loses the match. Are you talking about that rumor that Lesnar is leaving WWE to go to UFC to fight Jon Jones? Correct. He has got some time because he cannot fight unless he has 6 months of clean testing. With limited WWE schedule, he has got time in his hands to train for this fight.